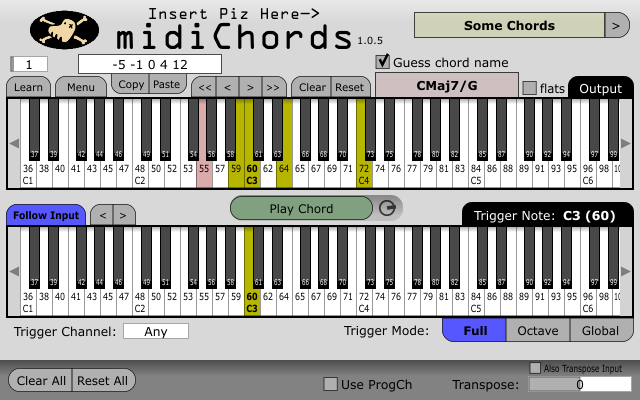 midiChords is a VST plugin that maps notes via MIDI. This is a plug-in that you can use to help with chord formations. You can input chords by simply clicking the keyboard display, MIDI learn or by picking the intervals/note names.